Steven D. Dingman currently serves as the Chair of the Health, Kinesiology, and Recreation Department, Faculty Athletic Representative to the NCAA and the Program Director for the Online M.S. in Kinesiology – Coaching degree program at Southern Arkansas University. 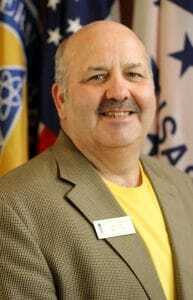 During his twenty-one years as a faculty member at SAU he has taught both undergraduate and graduate courses in the areas of Organization and Administration, Measurement and Evaluation, Recreation, Fitness, Health, and many more. Mr. Dingman has over fifteen years of experience in coaching having coached at many different levels. His coaching experience includes working with young children coaching t-ball, freshman, junior varsity, and varsity level high school football including head coaching experience, high school basketball, and seven years coaching at the NAIA and NCAA Div II levels serving as a student coach, graduate assistant, assistant, and offensive coordinator/assistant head coach. Mr. Dingman earned an undergraduate degree from Peru State College in Nebraska and his Master of Education from Southern Arkansas University. Besides his teaching and coaching duties he has also served as the intramural director at SAU. Mr. Dingman’s main areas of interest in teaching are measurement/evaluation, teacher education, and recreation. Away form the office he enjoys golf, cooking/grilling, home renovations, and entertaining. Steve has been married to his wife Kathleen for 23 years. Kathleen has taught special education for Magnolia Public Schools for twenty-four years and also coaches the Magnolia Panther swim team and the Magnolia Dolphins summer swim team. The Dingman’s have two children, Ashley who begins college this year, and Darcy who will be entering the ninth grade.